Nuclear-armed Pakistan test-fired a ballistic missile Tuesday capable of hitting targets more than 550 miles away, the country's military said. 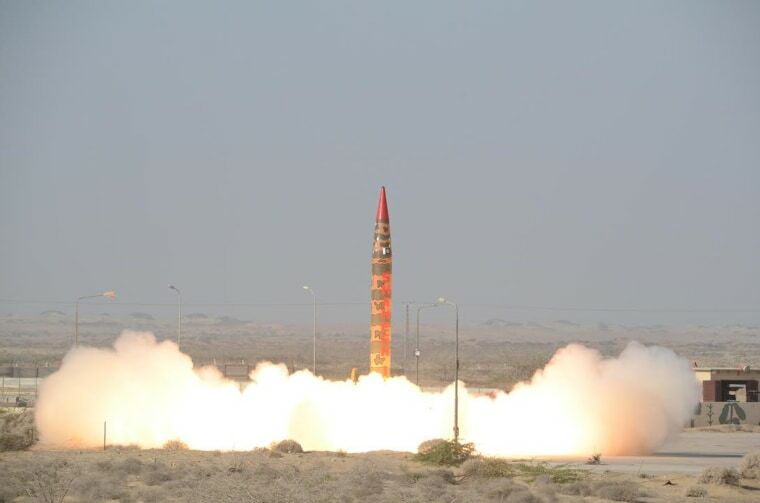 The Shaheen 1A has a "sophisticated and advanced guidance system [that] makes it a highly accurate missile system" and is "capable of delivering different types of warheads," according to a statement from Inter-Service Public Relations, the media wing of the Pakistani military. The missile landed in the Arabian Sea after Tuesday's test, the ISPR statement said. Pakistan has a tense relationship with neighboring India, which also has nuclear weapons. Following a series of wars in the 20th century, the pair still regularly exchange fire over their disputed border in Kashmir.